Was there ever a time when you were out shopping or at a restaurant and your button/trimming popped out? Or maybe something snagged on your favourite tee and created a noticeable hole? 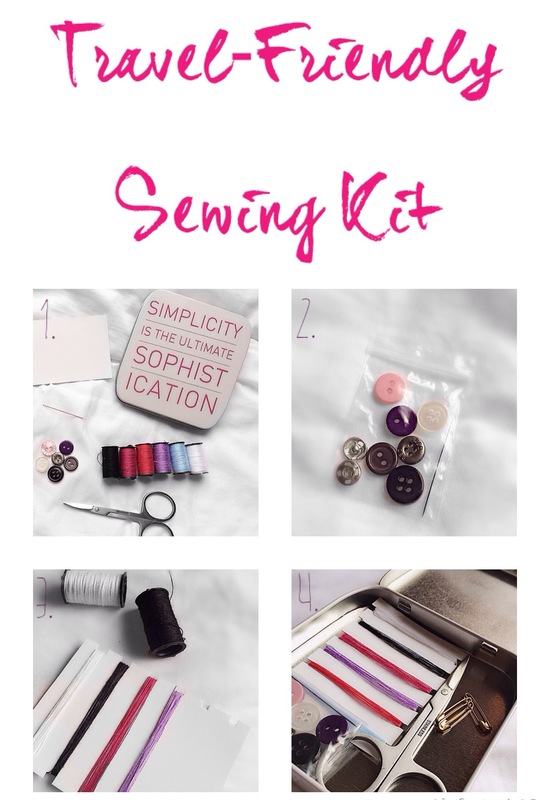 Well, if you are prone to wardrobe malfunctions whilst away from home, this travel-friendly sewing kit is thee DIY for you! 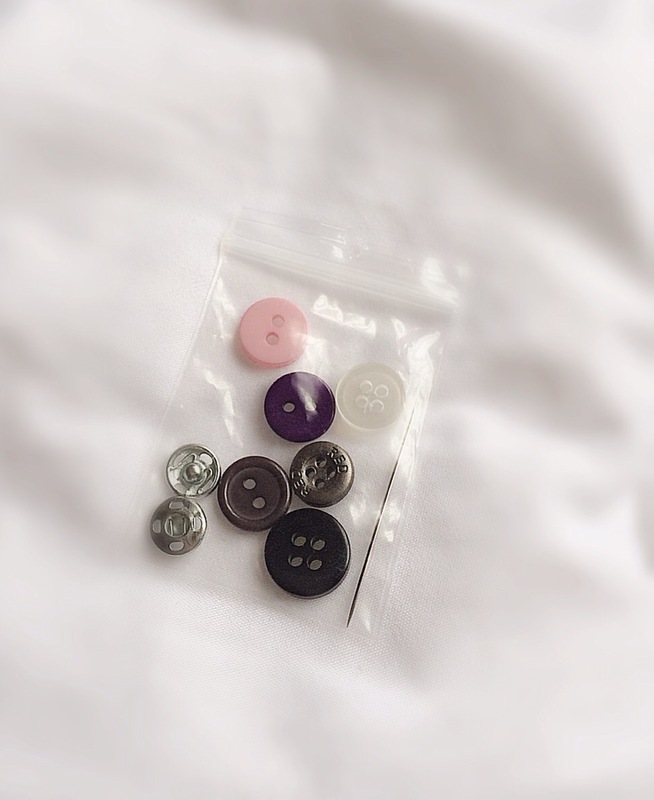 Start by placing the buttons, press-studs and needle into the mini ziplock bag, this way they won’t move around or get lost. 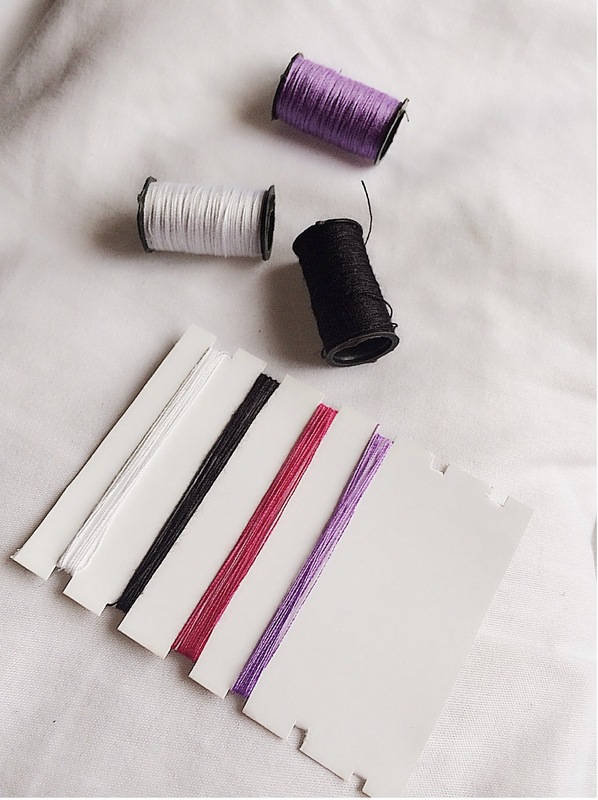 Once your squares are done, wrap about 2m of thread around the first matching pair of squares and tuck the loose end under the thread. Do this for all 6 colours. 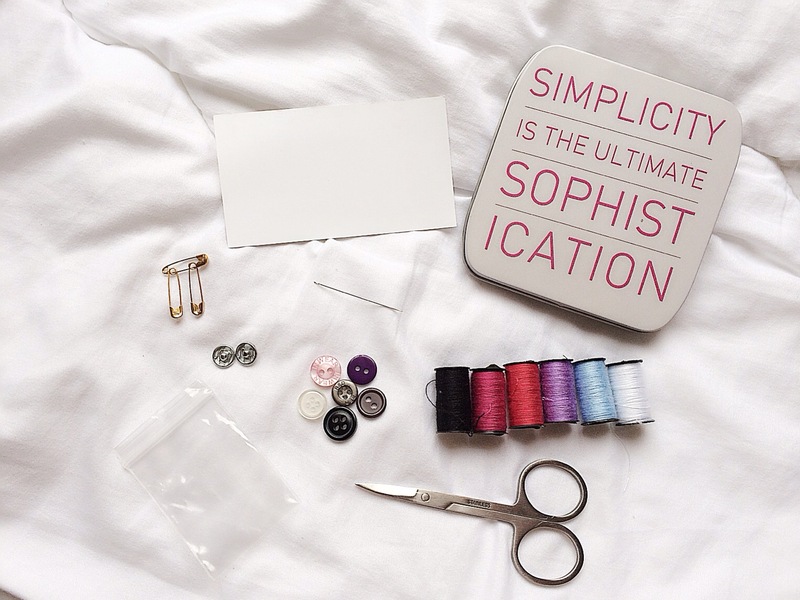 Finally, place your ziplock bag, thread card, safety pins and scissors into your tin and voilà! 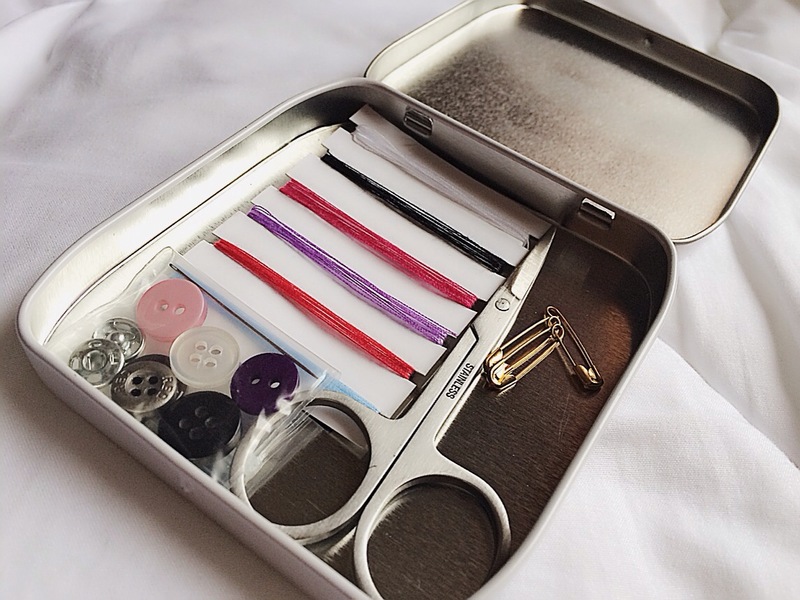 You’ve just created a very handy travel-friendly sewing kit that you can pop into your handbag or your suitcase to take with you whilst on holiday! Add a couple earring backs – I’m always losing those- and we are all set!